These rolls are the perfect snack, or even a light meal if you add something on the side. They are raw, full of super foods and incredibly delicious…one of my all time favorite recipes. I have requests from clients and for cstrings all the time and you will find the fixins in my fridge quite often. The best part is that you can get the veggies ready (except for the avocado) and roll to order, they will keep for 2-3 days covered with a damp paper towel and some plastic wrap. Fill a small dish with filtered water and set it next to your work station.Arrange all of the veggies on a plate or a cutting board. Lay the nori sheet (shiny side down) on a counter or cutting board with the wide side closest to you. Arrange veggies in a long line across one sheet of nori; starting with the carrots and moving down the list so that the ends of the veggies are hanging off the side of the nori wrapper. 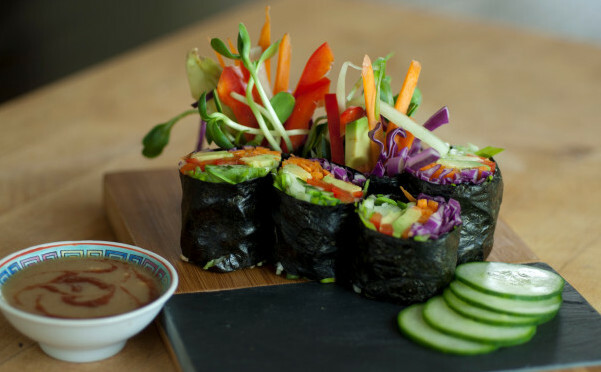 Roll the nori up like a burrito while using your finger tips to pull the veggies toward you to keep the roll tight. When you get almost to the end; hold the roll with one hand and dip your finger in the bowl of water and wet the end of the nori sheet and quickly finish rolling. The water will make the sheet stick together. Allow the roll to sit while you repeat with the remaining veggies. When you are finished; cut each roll into 6-8 pieces using a sharp knife. Turn them on their side so that the inside of the roll is facing up. Serve with the dipping sauce- recipe follows. Change up the veggies and cilantro and use some shredded lettuce, sweet potato (cut with a vegetable peeler) or red bell pepper. Substitute the cilantro for some mint or basil. If you do not plan to eat them all at once you can store the cut up veggies in a container in the fridge and then just grab a bit and quickly roll one up when you’re hungry! Cut the avocado at the last minute. Nori~ is rich in vitamin A, protein, B vitamins, calcium, and iron…Yay! Place in a blender and blend on high until smooth and serve as a dipping sauce or a salad dressing. *Gluten-free folks: Please make sure the ingredients you are using note “gluten-free”. 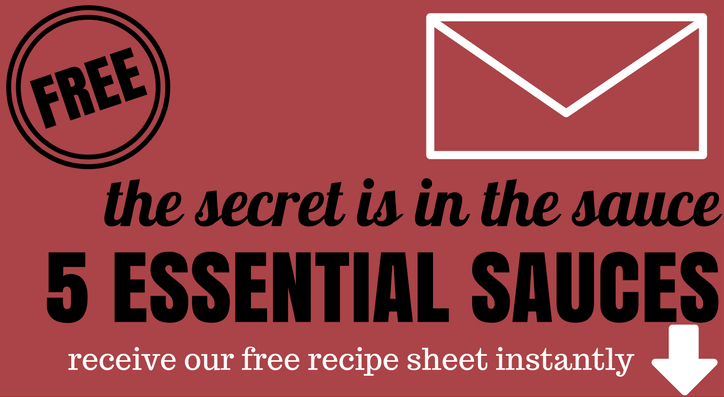 Items to watch for are the nori sheets, miso paste, and Tamari (gluten-free soy sauce).